First published in 1968, this reissue is a study of contemporary international economic policy, with particular emphasis upon economic integration as a means of bringing about a faster rate of economic progress and of helping to overcome poverty. 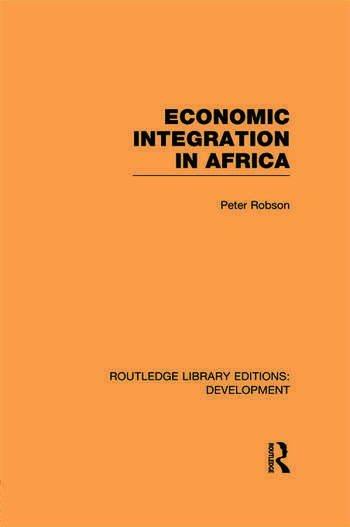 Peter Robson’s book is a study of the rationale of common markets and other forms of economic integration among African states and of their operation in practice. The book will be of great value to those concerned with administering or assessing integration schemes in Africa and indeed in less developed areas throughout the world. In addition, it is an important contribution to the field of development economics.